Google rates websites on their length, meaning web developers now have to push to reduce the amount of code on their websites. Something that has proven worthwhile after research is to move all of the head information to a seperate file, this achieves two things. Firstly the site has a much smaller amount of code on it, which means its going to rank higher for seo and secondly, it is worthwhile because the time saved making the entire site adds up when you consider you only have to edit the head once to effect every page. This is something I wanted to practise before creating my next project, so below is an example of this completed. This makes the website appear as normal, but the previously mentioned benifits. Understanding how meta data was something I made an effort to learn, since I had changed my design based upon the fact it is not SEO appropriate. I found that meta data is the content that is not visible by the browser but only search engines only. I needed to apply the basic searching techniques from Google into my design. Search engines like google use “crawlers”, a web bot that follow links on the internet for the specific aim of creating an index of all the sites on the web worldwide. I learnt that having multiple internal and external links to the site helps the website get a higher ranking, but this is along with the other parts of the how the search engine makes sure your page is most relevant to what the user is looking for. Making sure that the hierarchy of content is obvious to search engines is essential as it means you get the relevant pages listed, you can do this by creating a sitemap. A sitemap lists all the pages connected to a webpage so that the crawler can easily list them. You also need to have a robots.txt, to make sure that the crawler knows it has access to the page and is meant to list this page. 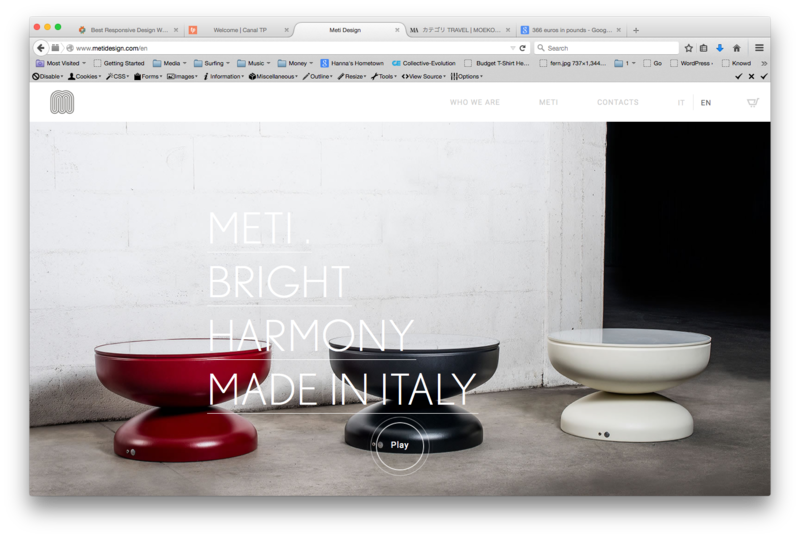 Adaptive, Fluid, Responsive or Static? Responsive web design allows you to create a website that will adjust itself to fit the size of the browser regardless of the size of the screen. It means you code it once and it will flow more like a grid with images that will rescale themselves to fit the screen. Adaptive web design is where you make lots of different versions of the same website so that it fits the different screen resolutions perfectly, while effectively gaining more control of the specific user experiences, it is time consuming. Adaptive design uses breakpoints that mean once you reach a predefined point, the layout will change to fit the screen again. 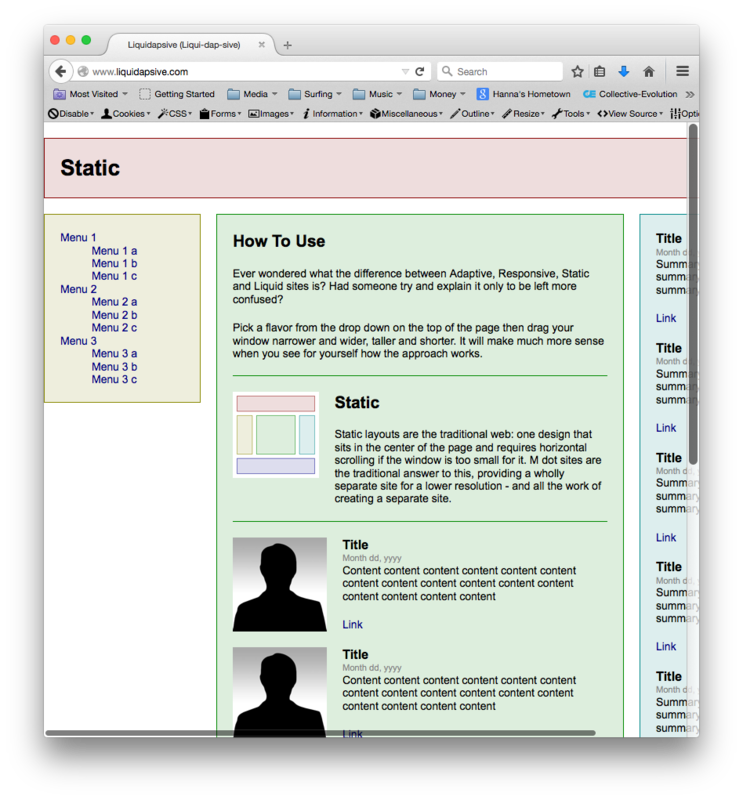 Something to take note of when making adaptive or responsive sites, is that they all use the same information but use styling to change the information. For example, an image is required at a large size, then the browser will resize it depending on the screen size. Therefore, when possible, it is important to use vectors. It is equally important to remember that you should always design for the desktop and then work smaller down to mobile rather than starting at mobile size. So overall, fixed websites, the ones I am currently learning how to build have set widths and no media queries (allows the size to understand the size of the device it’s being used on). 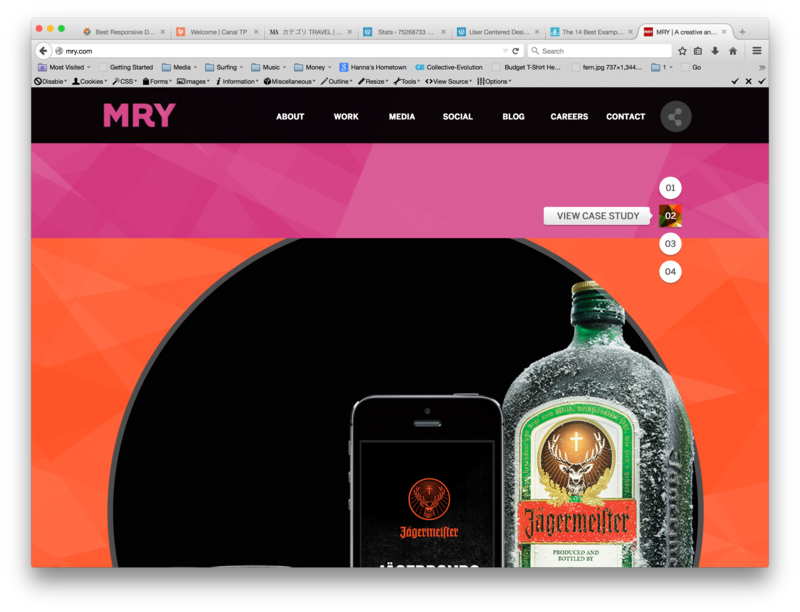 Fluid websites are a little different, they rely on percentages for relative widths to the browser itself, therefore they don’t need to you use media queries either. Adaptive are built to certain resolutions, then require media queries to determine the device or resolution, these usually rely on set or relative widths. Responsive seems to be a lot more focused on the actual resizing of the display as it is actually designed at multiple levels using again media queries and relative widths. Adaptive is time consuming and works well for smaller devices but as you can see there are white borders on each side of the design once you reach a certain size. 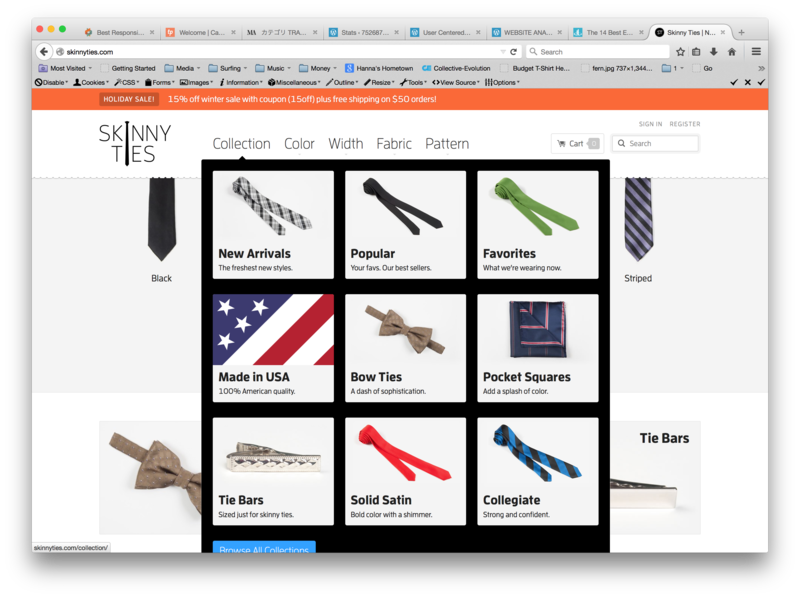 Finally, responsive seems to be the go to style as it works when the browser is both really large and really small. Having understood the different types I thought it would be important to have a look at current responsive sites, as it was the best option from the four above. 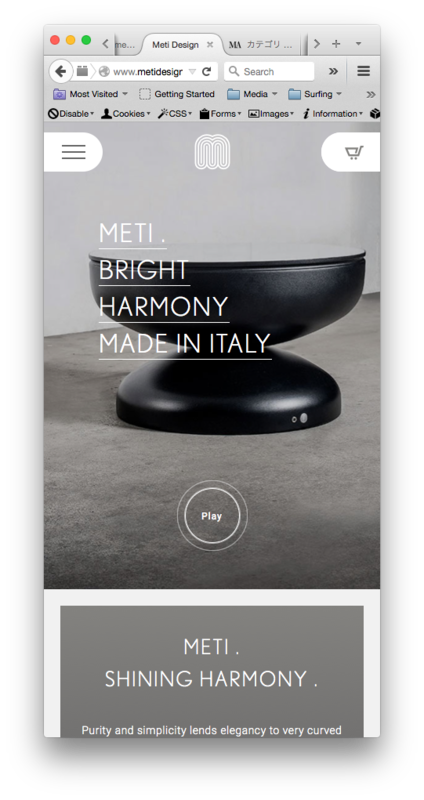 Meti Design is a really nice responsive site complete with animation, smooth transitions and a nice 3D animation using frame loads like I noted previously in Sony’s Be Moved Campaign (https://akbrodie.wordpress.com/2014/10/15/website-analysis-4-dangersoffracking-com/). This makes the website look very professional and I found myself wanting one of the products they produce, whether that’s because of the website or not, I am unsure.Below you can see the different screen sizes effecting the page, and how similar the experience looks. 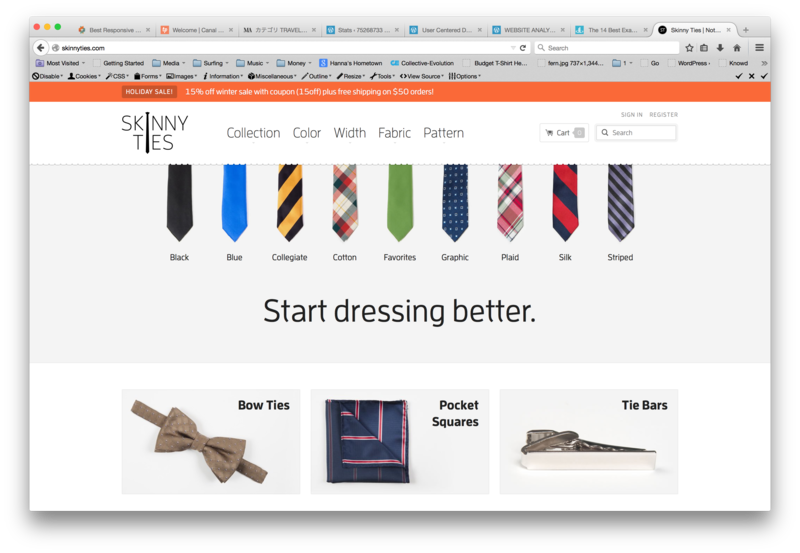 Skinny ties also have created very good responsive site that promotes the ties they sell. 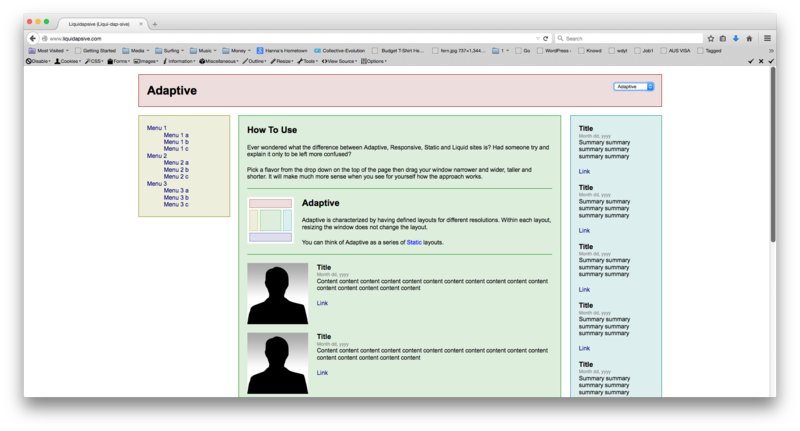 It works just like a responsive site should but has thew addition of a feature that I haven’t seen anywhere else. This feature being the fact that the rollover still works regardless of the screen size, I am unsure if this is pointless or not as when the screen sizes are smaller they generally are touch screen but it turns out that when used on a mobile, the rollover menus come up when the menu items are clicked on. 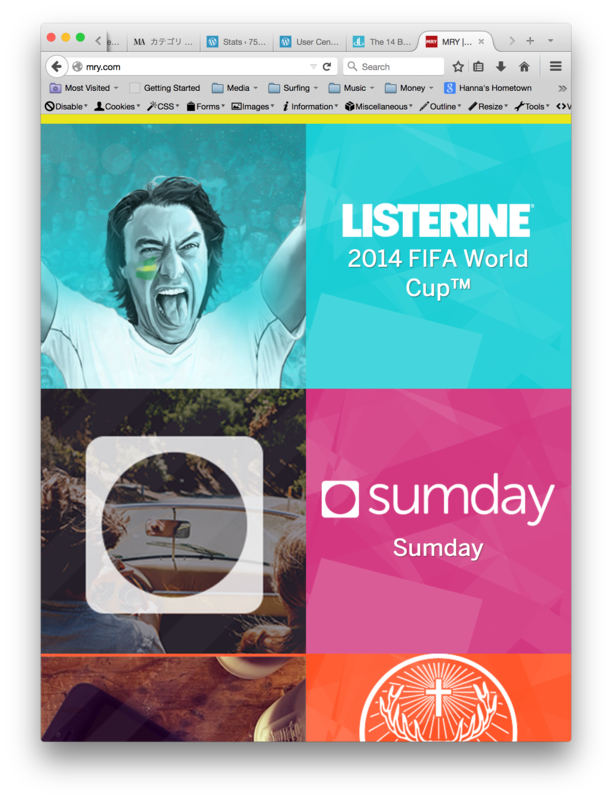 Below you can see the images of the screen sizes and then the different sizes with the rollover menus.